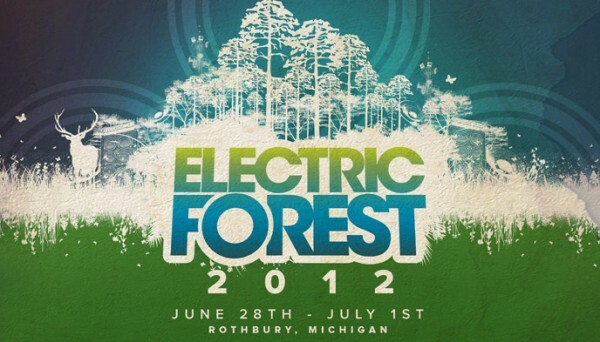 As a consummate city dweller, my second annual trip to Electric Forest was shrouded in equal parts fear and hysteria. City festivals have their major perks, like the ability to eat lunch in a nice urban deli prior to entry, opportunities to explore the area’s cultural attractions, and the availability of a nice shower to wash away the day’s vices. All activities that are easy to take for granted until Saturday afternoon beneath the harsh sun as you eagerly wait for Big Freedia to bounce across EF’s Tripolee Stage. Sure, hammocks are abundant within the ornately-lit Sherwood Forest, but it’s hard to catch a moment of slumber beneath the massive evergreen trees when endless opportunities for collaborations exist at Rothbury, MI’s massive Double JJ Ranch. After two years, it’s clear, artists don’t just visit the forest to play to adoring fans from across the U.S., they come to hang out with one another, creating new tracks and long-term relationships. Even with horse manure covering most of the campsite and lengthy treks for essentials, the sunburns and blisters were a small pittance to witness impromptu collaborations between Cherub and Big Gigantic, String Cheese Incident with The Travelin’ McCourys and Keller Williams, Alvin Risk alongside Dominic Lalli, and the true oddities that take place all festival long within the shade of the forest. Plus, the festival may wrap around four each morning, but if you have the ability to outlast Ghostland Observatory, Major Lazer, Steve Aoki, Diplo, and bass wunderkind Crizzly, then the party continues into the camping area with rogue sets by dozens of musicians and DJs. All the excitement leads toward one major drawback — finding sleep. But that is what Monday and Tuesday are for. After wiping away the dust and a seven-hour drive back to reality, this is how I recall the weekend that was Electric Forest. Like all great adventures, neither words nor pictures can truly do the event justice, for there is a sense of camaraderie and freedom that develops after days of yoga and nights of communal partying that must be experienced to be appreciated.